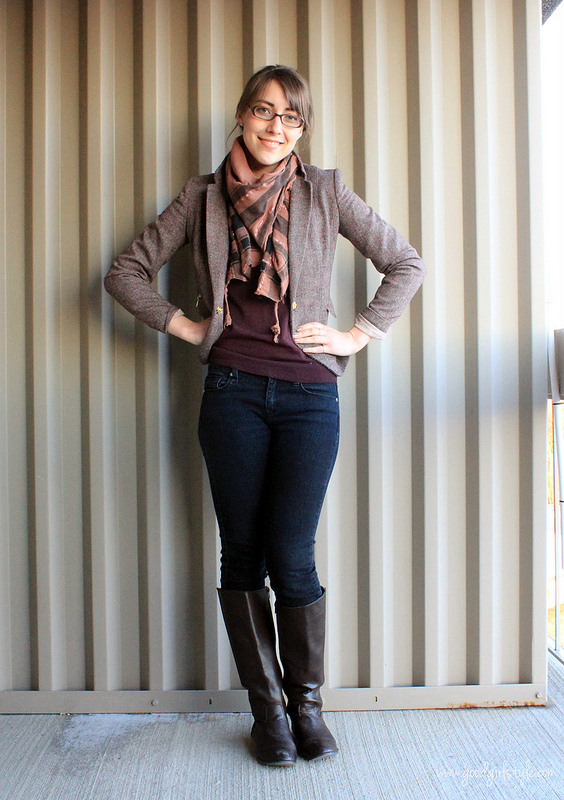 No big, fancy outfits around here lately, just a few everyday-doing-this-thing-called-life outfits. This was such a gray day, you can tell by the lighting. I was wearing a dark purple sweater, and I looked at myself in the mirror and thought, "This shirt is making you look tired & sad. You need color." 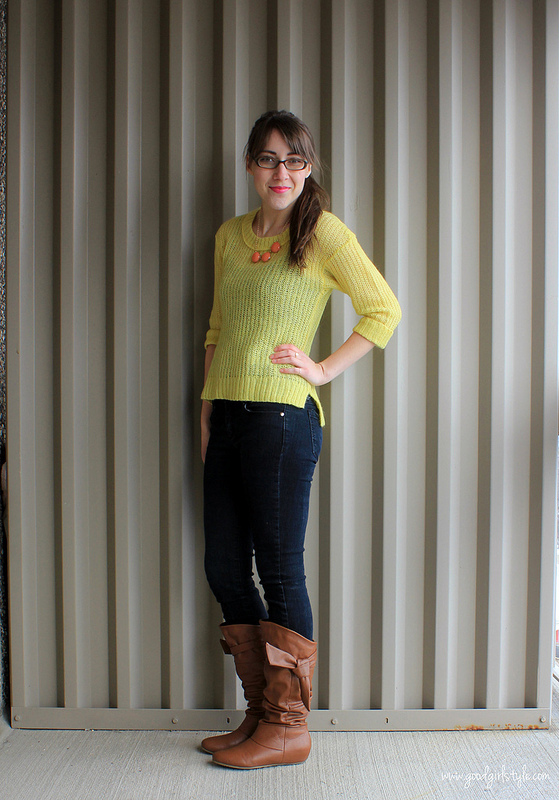 So I swapped for my yellow sweater (current clearance at Target, fyi! ), my peach Caroline G. bubble necklace, and my hot pink Radiant cosmetics lipstick. Much better! 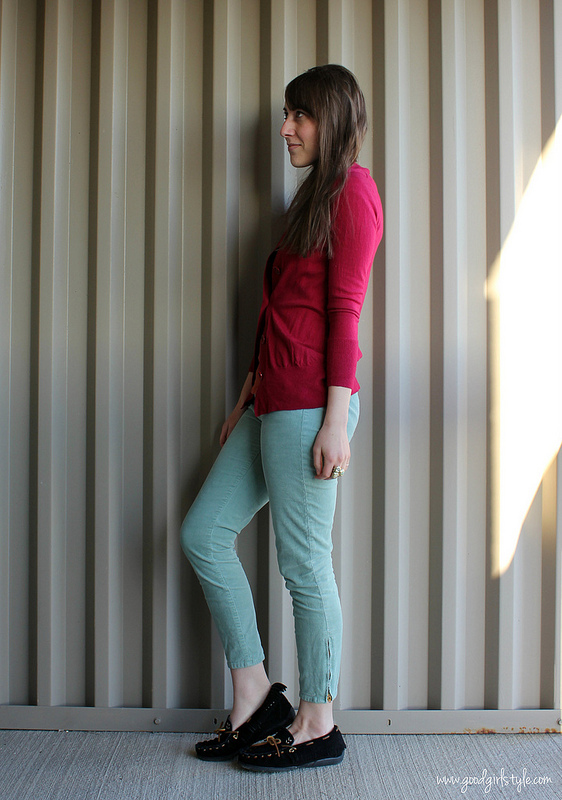 Crushing hard on this color combo of seafoam and raspberry lately. And who doesn't love some Minnetonka mocs? The snow was swirling in an ethereal way this morning: circular, horizontal, dream-like. I felt like I was inside of a snowglobe, truly. The yellow/orange looks great with the pink lipstick, LOVE the look! Love these outfits. Especially the first one. That blazer is perfect! I love these outfits! Thanks for the cute ideas + inspiration! Aw, thanks Meg! I was embarrased to post them because they are so casual compared to what I normally post---but that's real life, right? !